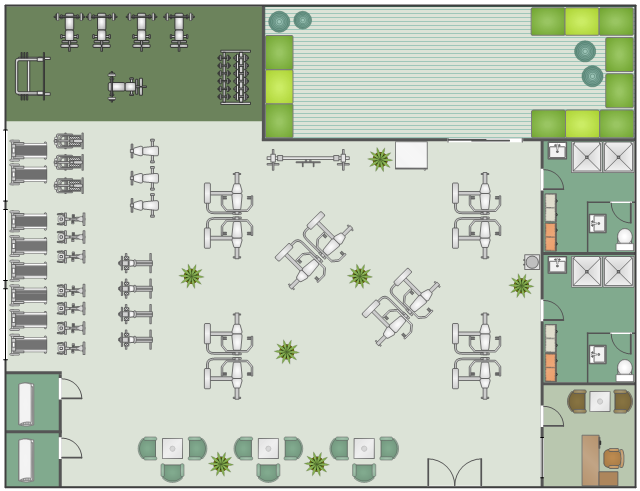 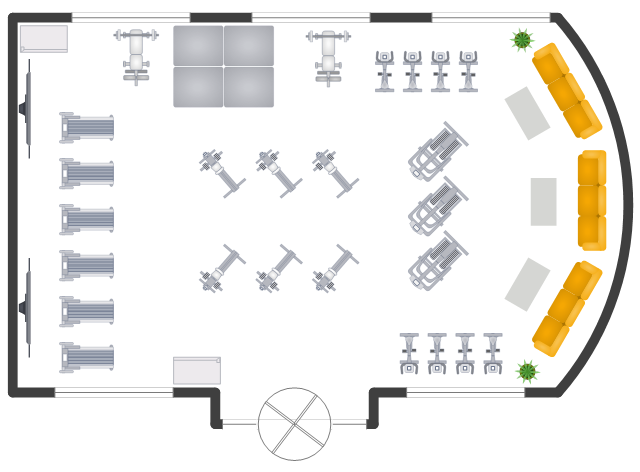 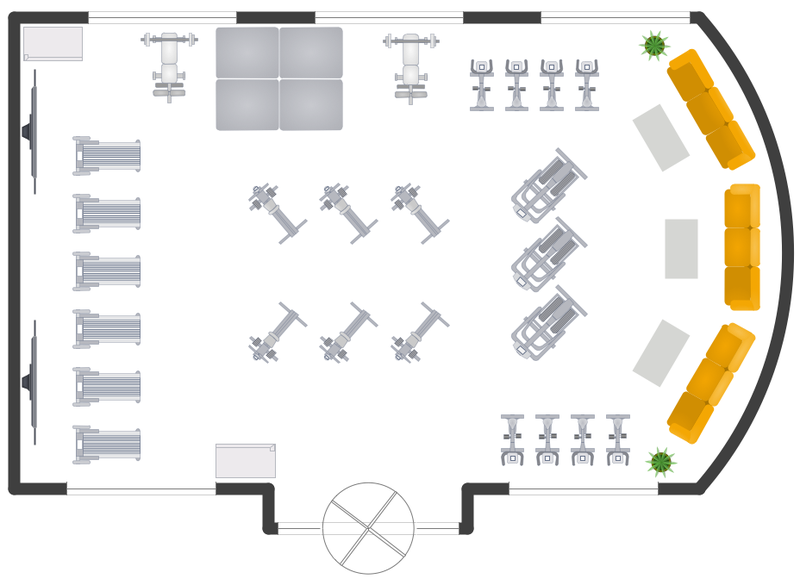 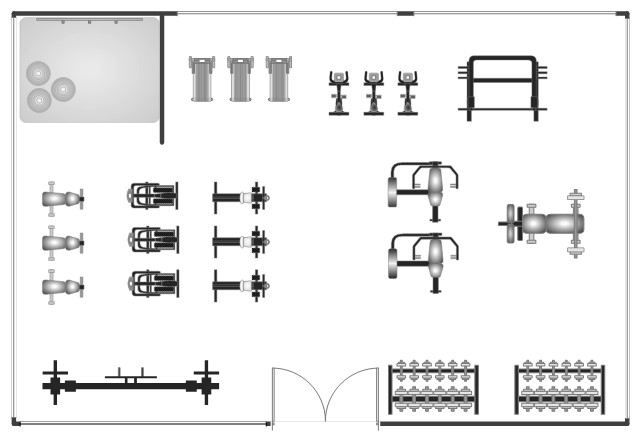 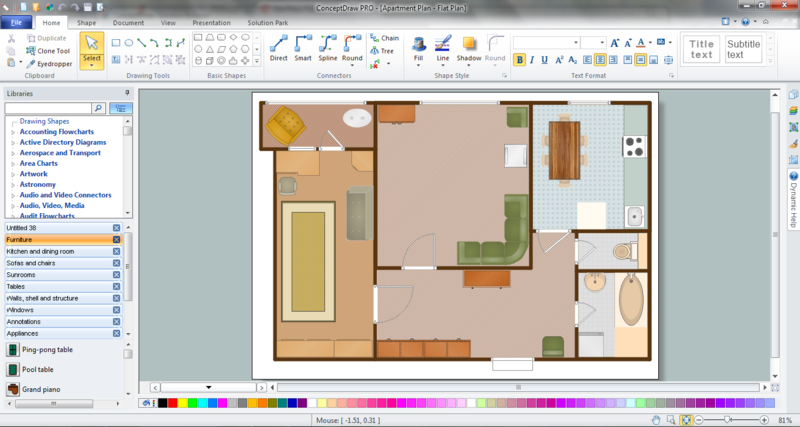 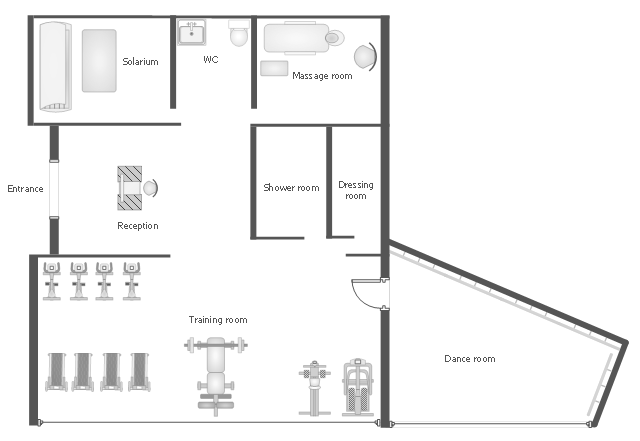 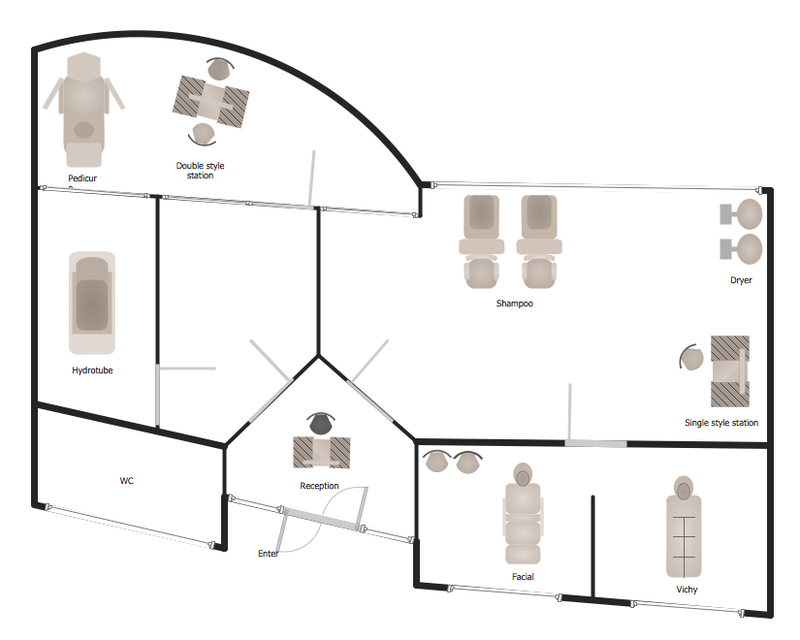 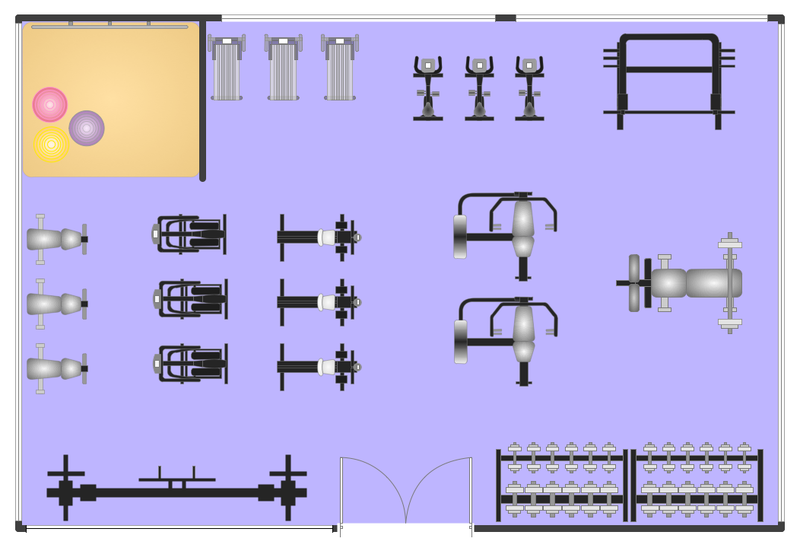 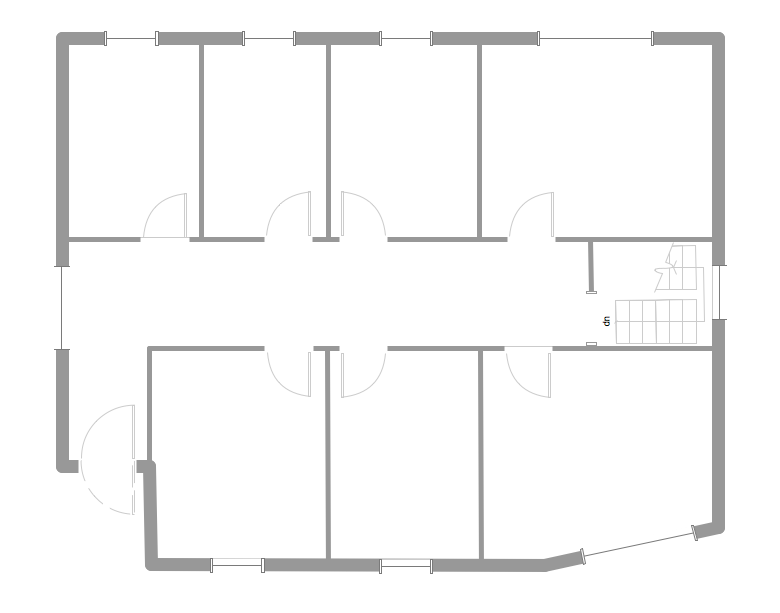 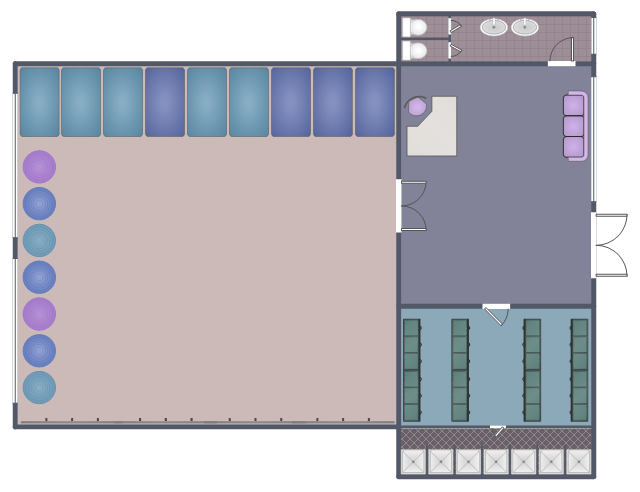 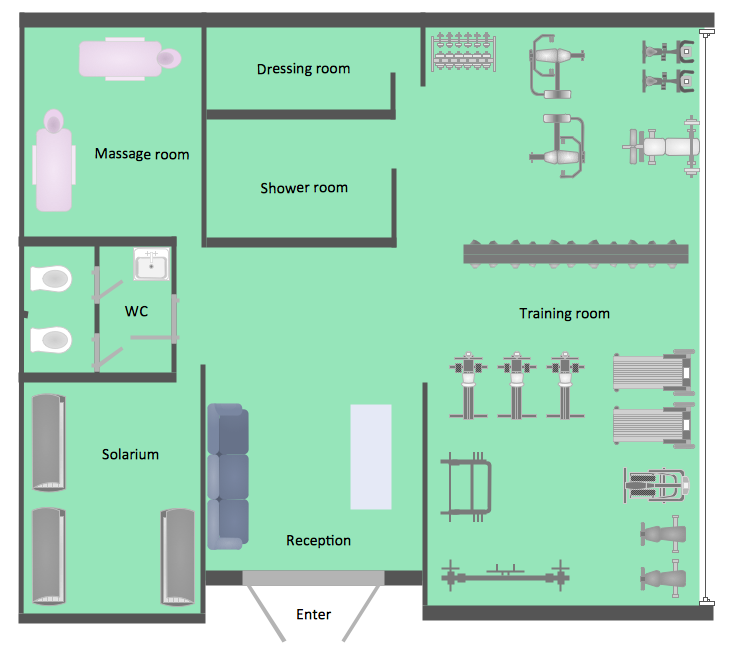 This interior design sample depicts the layout of furniture, equipment and appliences on the dance studio floor plan. 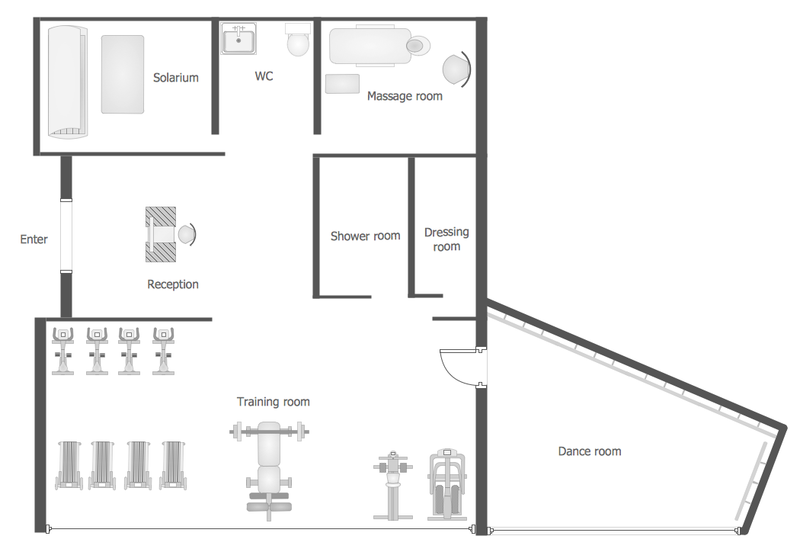 "A dance studio is a space in which dancers learn or rehearse. 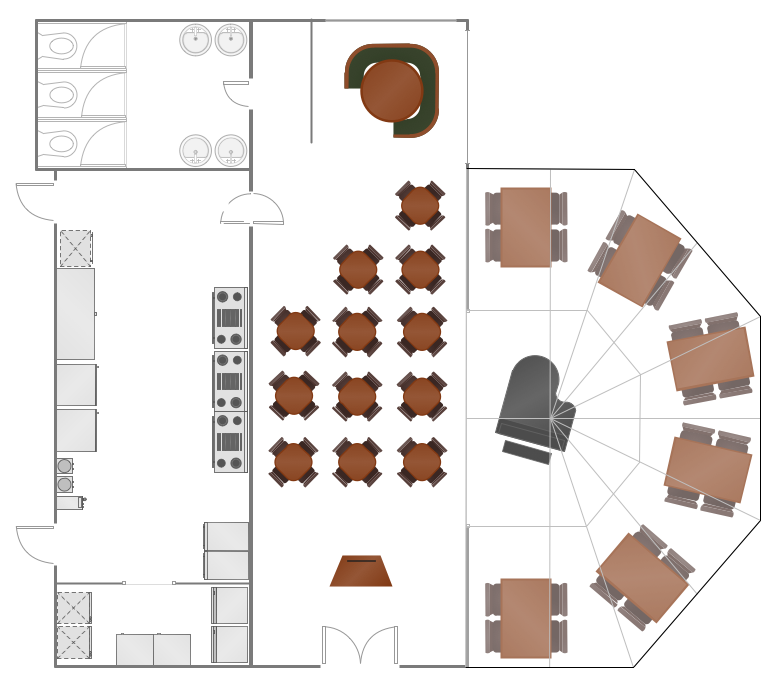 The term is typically used to describe a space that has either been built or equipped for the purpose.